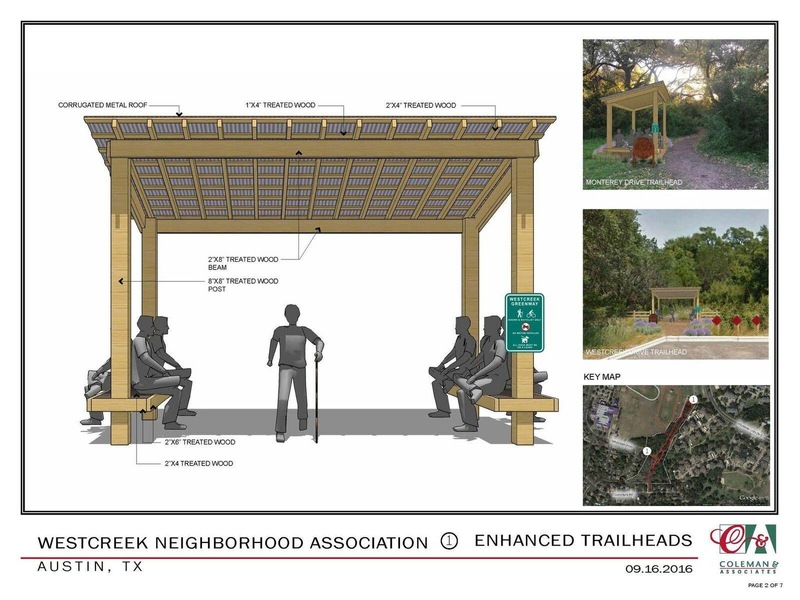 Our Neighborhood Partnering Program cost-share grant application has been approved!! We've got lots of great plans over the next couple of years for the Westcreek Greenway. 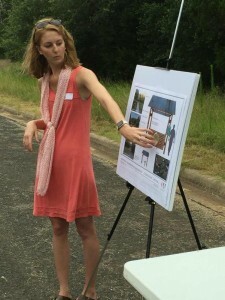 Keep tuned for upcoming meetings and volunteer opportunities. We have partnered with Small MS Green Tech Program to be involved with this! 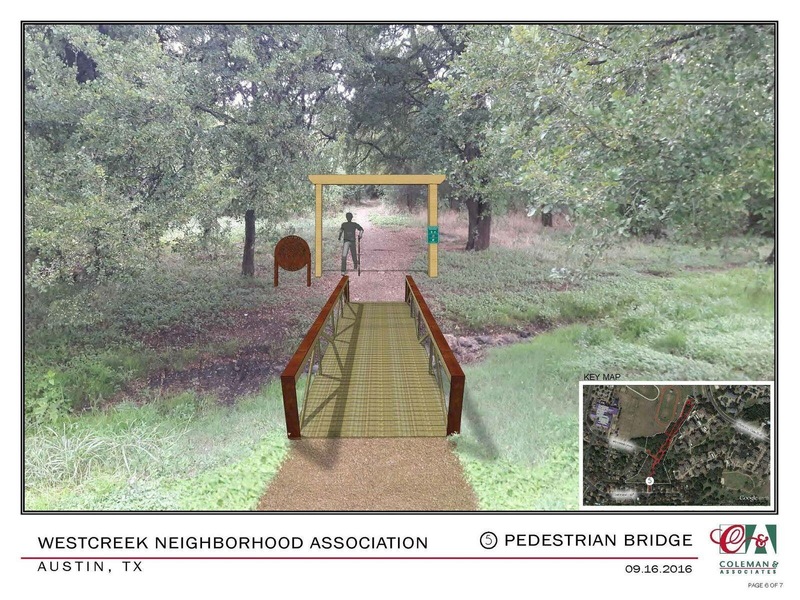 A bridge over the low water crossing behind the Brush Country Trailhead is also in the design. 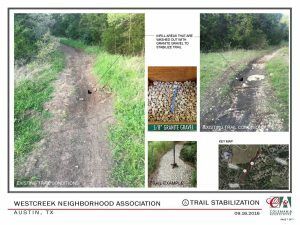 This project will improve the nature and trail area (both beautification and safety improvements) behind Summerset Trail and Cana Cove. 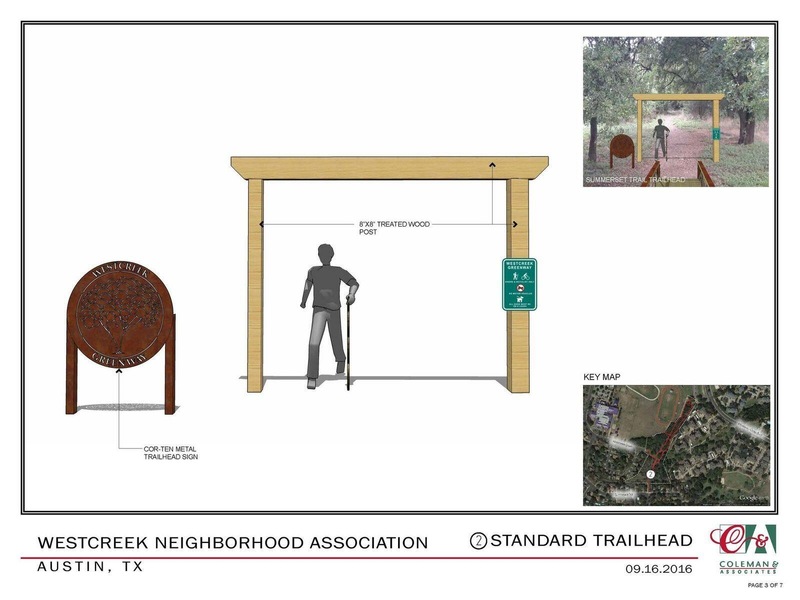 Our efforts will include Small Middle School's Green Tech Program students. Here is a PDF of our final design renderings. 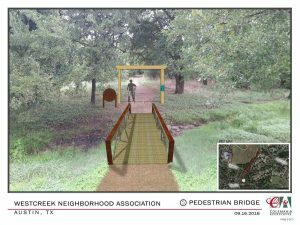 Like our Westcreek Greenway Facebook page to follow our progress! Saturday, June 25, 2016 9:00 – 10:30 a.m.
UPDATE 6/26/2016: Stay tuned for updated designs based on neighbor and WNA discussion and input. 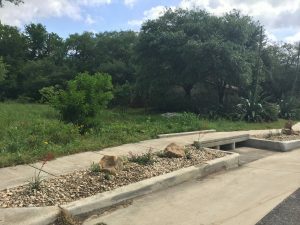 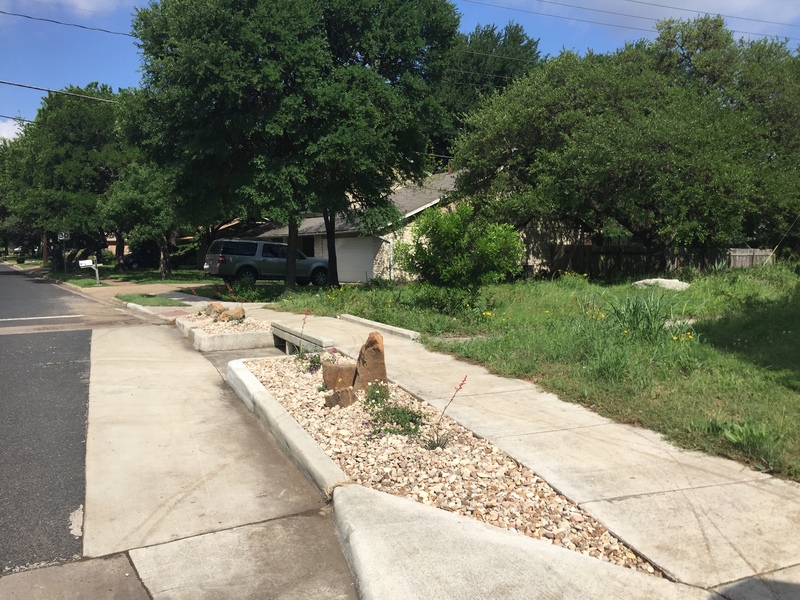 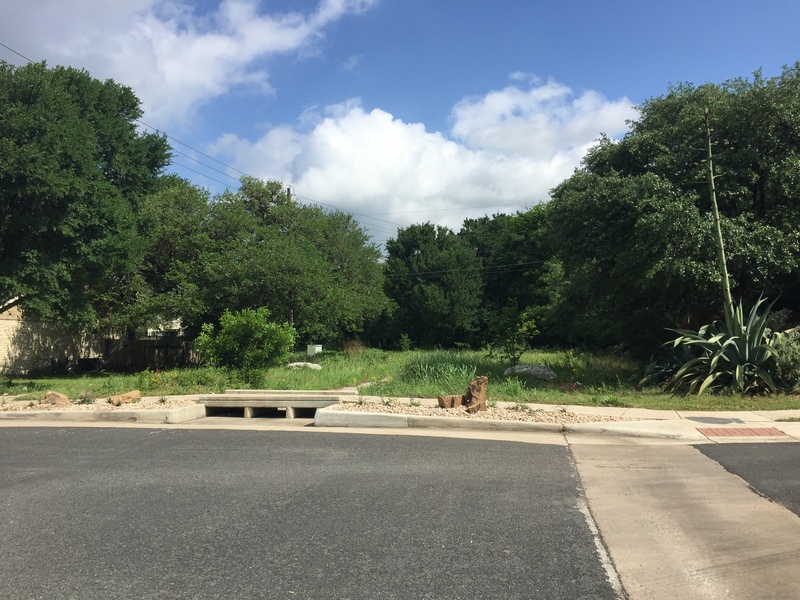 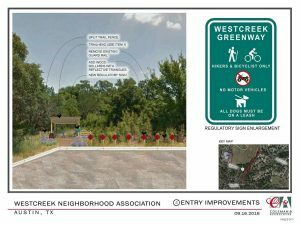 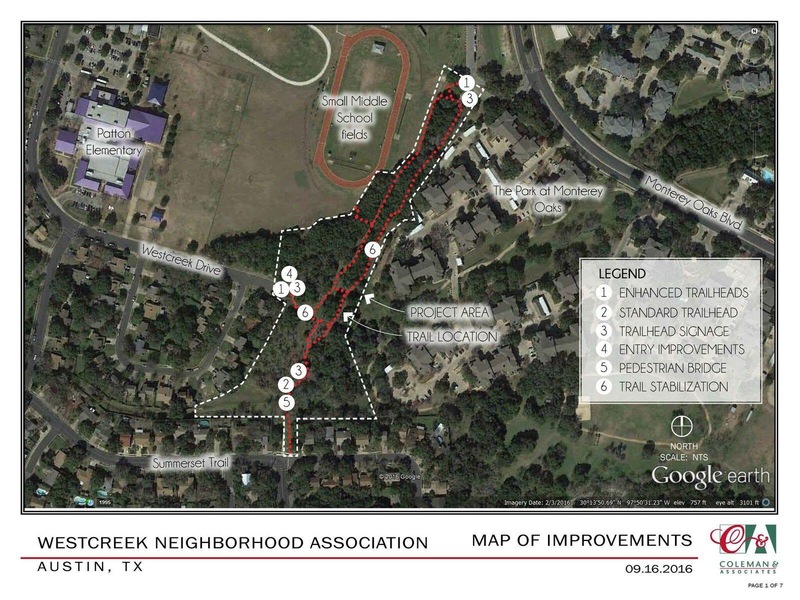 Did you know that the Westcreek Neighborhood Association worked with the City of Austin & got Westcreek its very own designated pocket park? 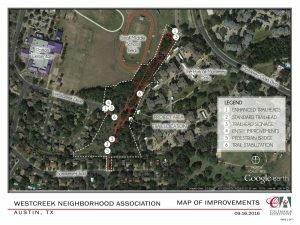 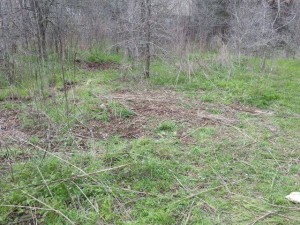 Map here: Westcreek Drive dead-end behind Patton Elementary, called the Westcreek Greenway We celebrated It’s My Park Day on Saturday, March 7 Neighbors recently got together to clean up this area and prep it for future development. 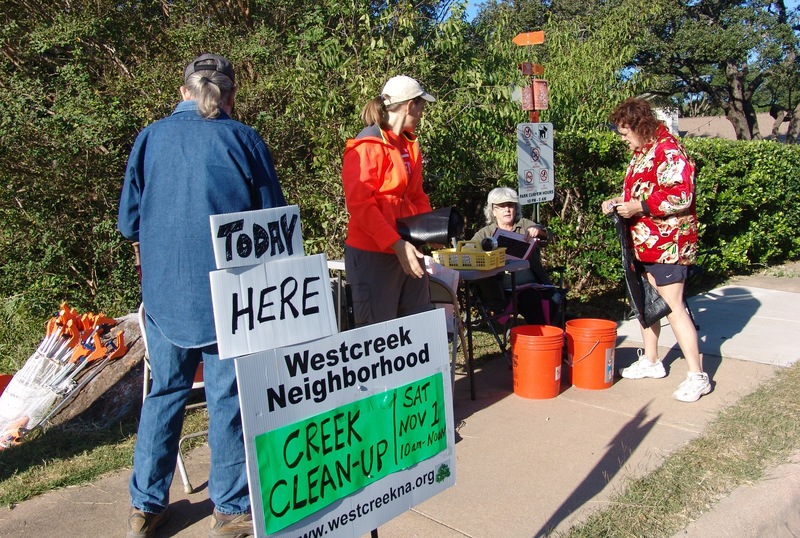 Here's a big shout-out to the awesome Westcreek volunteers who made It's My Park a huge success! We removed an amazing amount of trash/construction debris and invasive Ligustrum this morning. 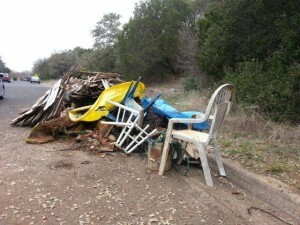 Big thanks to the 13 awesome neighbors for showing up and working hard. 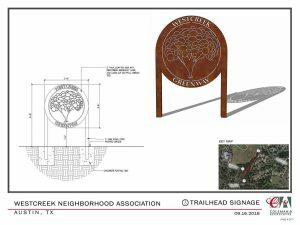 We also discussed lots of ideas for the pocket park. 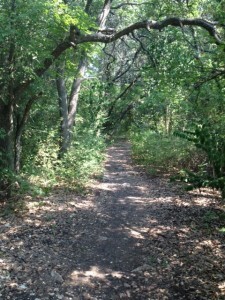 Thanks Austin Parks Foundation and all their sponsors for putting together this city-wide event every year! What is next? 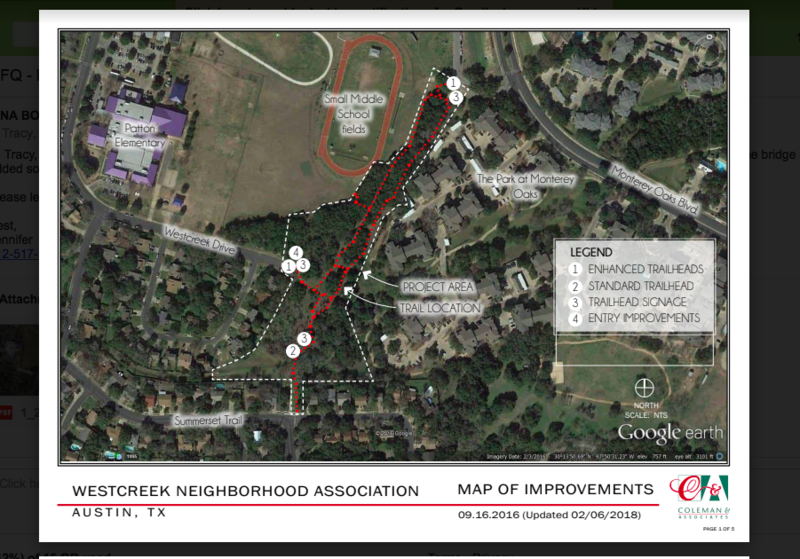 We will work with the Parks & Recreation Department to pursue funding & eventual development of our neighborhood park. Please email board@westcreekna.org to get involved...every effort counts...no matter how small.